I loved anything that had to do with horses growing up. 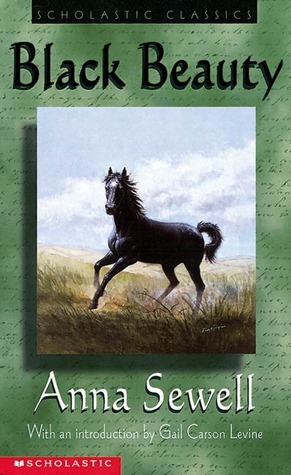 Black Beauty was a beautiful story, but as I grew up the cruelty inflicted upon the horses affected me more and more. Now I don’t think I can read the story again. All I remember is poor Ginger and the lack of understanding that horses are creatures too. When I worked at an after school program my head teacher decided to read this story, one chapter every afternoon, to our kids. I asked if she was sure she wanted to do that, for she hadn’t read the book before. I’ll never forget the look on her face when she read aloud Ginger’s fate. The kid’s faces weren’t much better, but it’s all apart of growing up isn’t it?